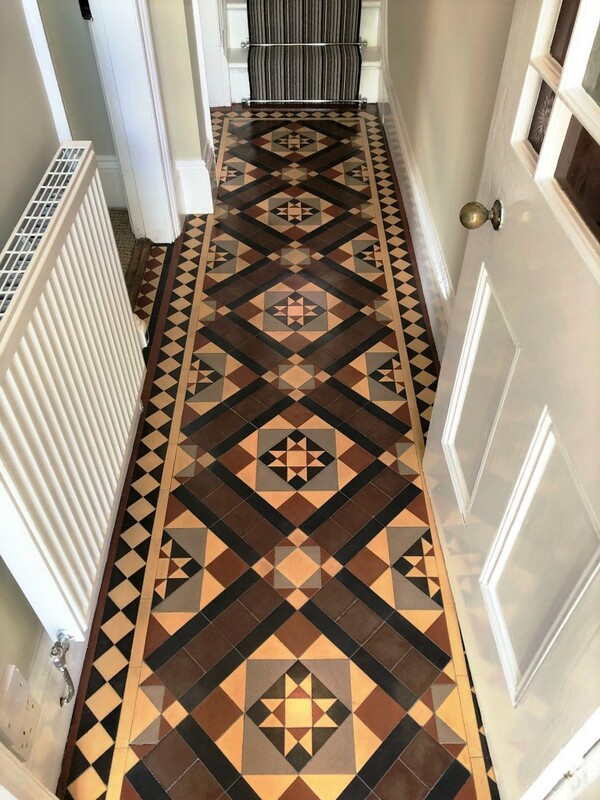 Named after the monarch of the time Edwardian tiles are very similar to Victorian tiles in both their colourful nature and geometric design. 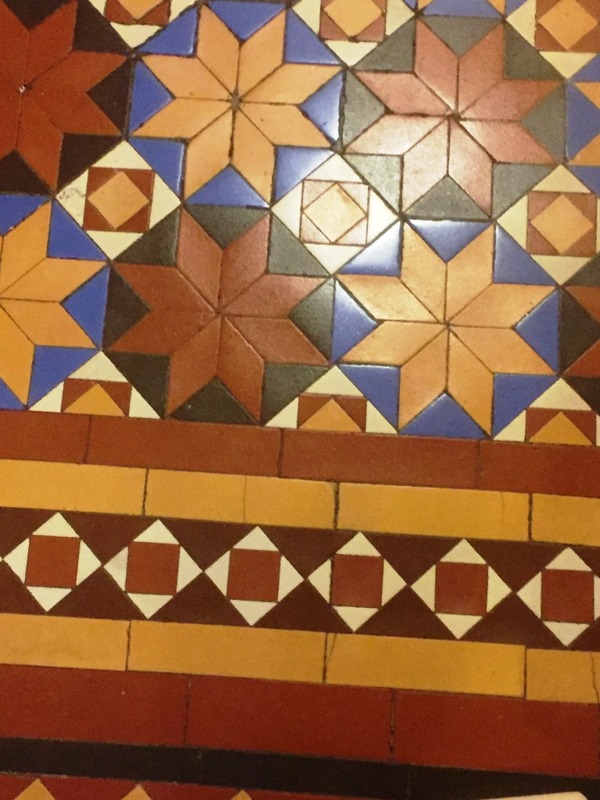 Both types of tiled floor are commonly found in older properties, but they aren’t always immediately visible because unfortunately many people opt to cover them up with carpet or linoleum. 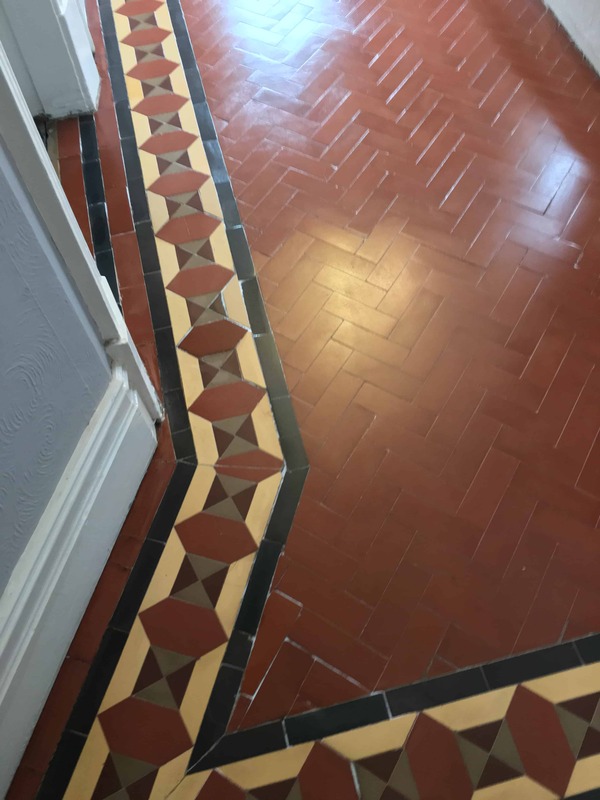 This customer had just moved into a house in Bewdley, a town in Worcestershire and the home of Severn Valley railway, and after lifting the carpet to replace it found a lovely Edwardian tiled hallway. 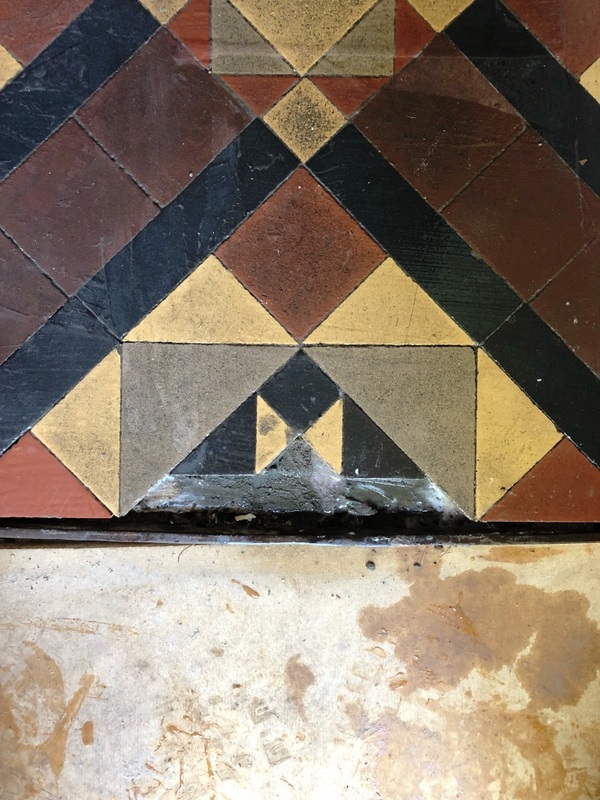 She decided immediately the floor should be restored to its original condition and so contacted me to see what could be done. 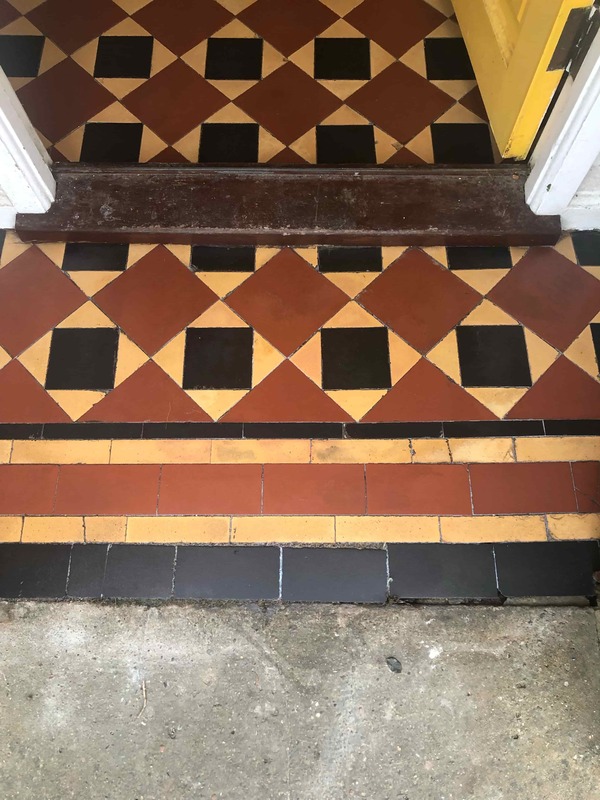 At some point in the past, the house had been extended, and the builders had damaged the tiles towards the rear of the hallway to install a gas pipe. 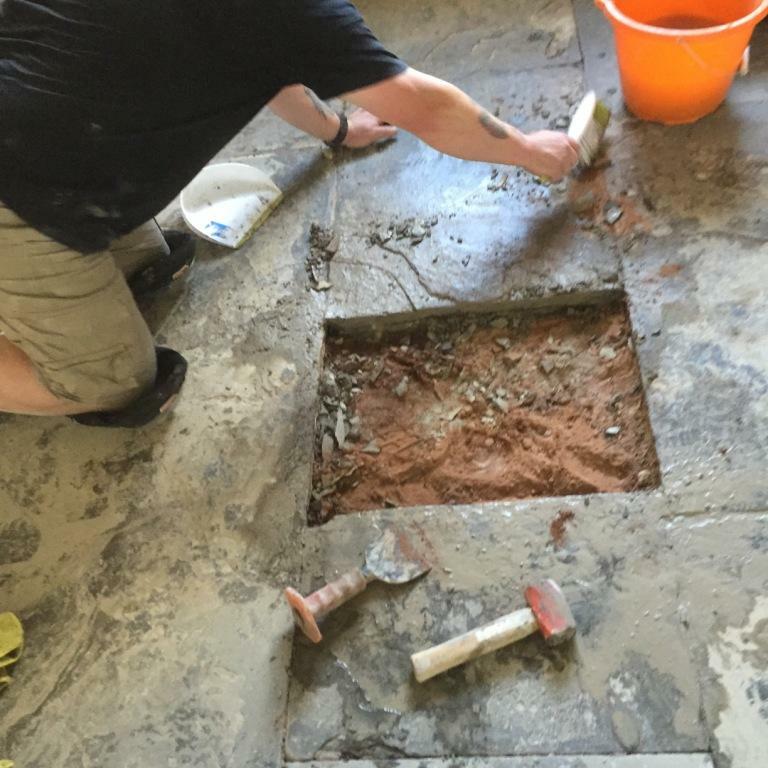 This meant my first task was to carefully remove the concrete without damaging the gas pipe, before rebuilding the floor to the level where I could relay new tiles and replace damaged ones. 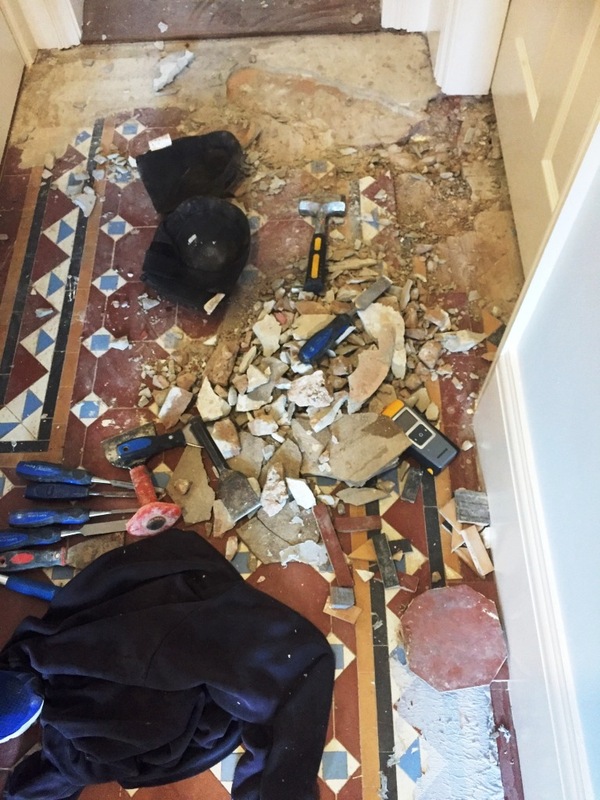 It took two days to repair the floor, but with the hallway successfully rebuilt I could then move onto the task of cleaning and sealing the tiles. It took me another full day to clean, speed dry and seal the floor. 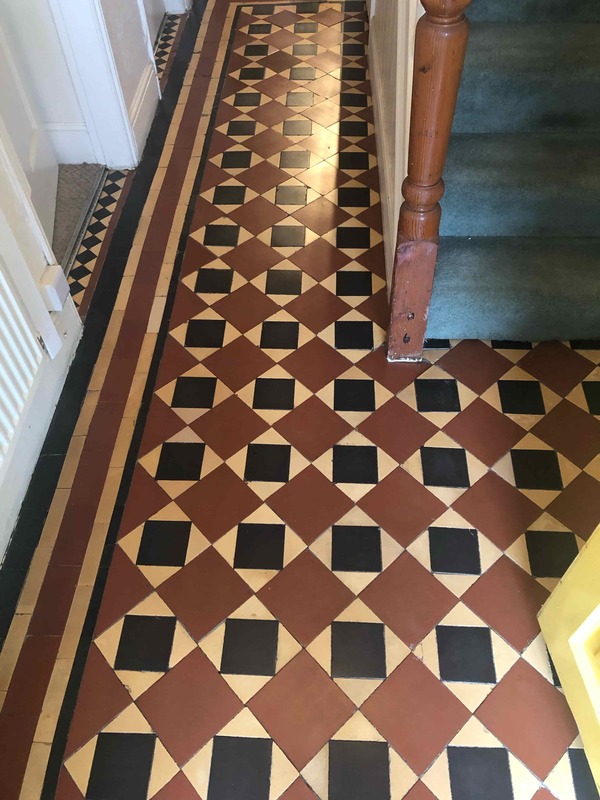 I started by applying Tile Doctor Remove and Go around the edges of the Edwardian hallway tiles to eliminate any paint splashes and glue stains from previous decoration work and the carpet that had been secured to the tiles by adhesive. 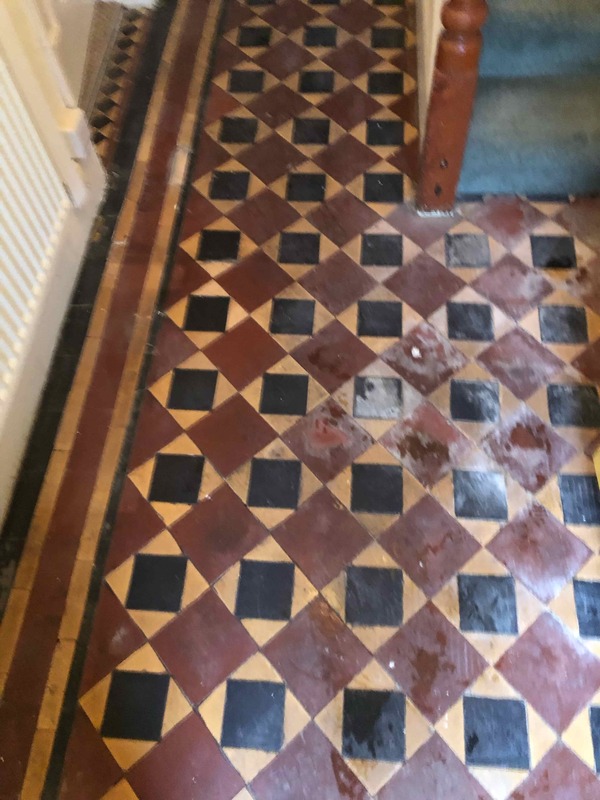 This was then followed by treating the floor with an acid wash using Tile Doctor Acid Gel with a buffing machine fitted with a black scrubbing pad to clean off any old grout smears and other residues. 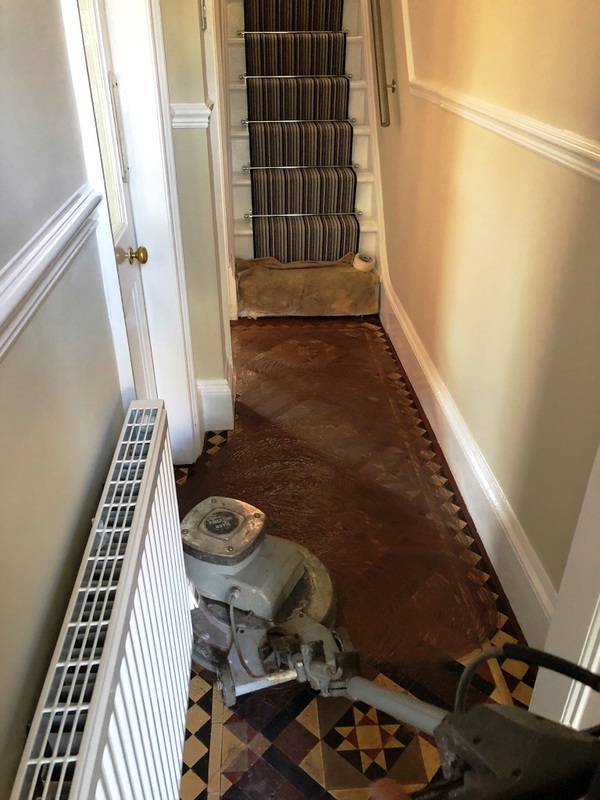 The floor was then carefully rinsed down with water applied using micro fibre cloths so it wouldn’t get too damp and then speed dried with air blowers. Once satisfied that the floor was as clean as possible and bone dry from the speed driers I moved swiftly on to sealing them. 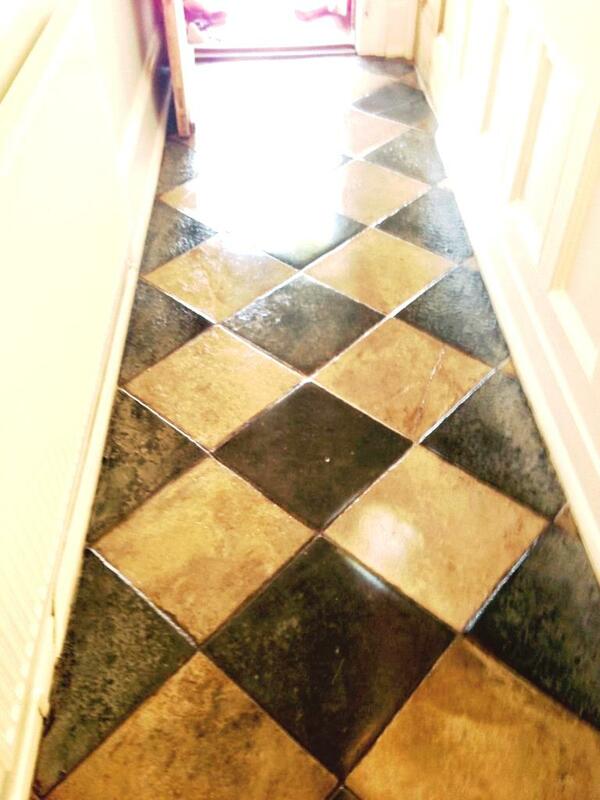 My choice of sealer was Tile Doctor Colour Grow, since the customer requested a natural finish. 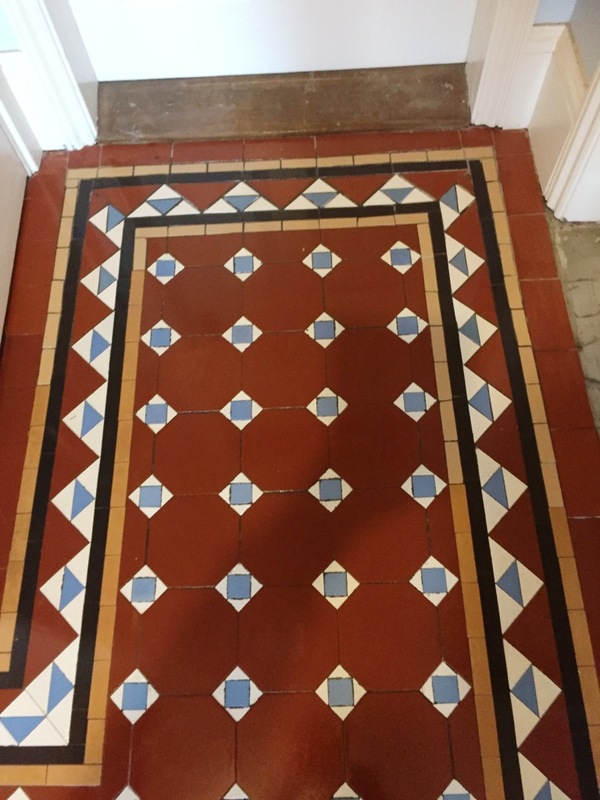 I applied three heavy coats of the sealer to lift the colours in the tiles and provide a long-lasting impregnating sealer to protect them against dirt and make them easy to keep clean in future. 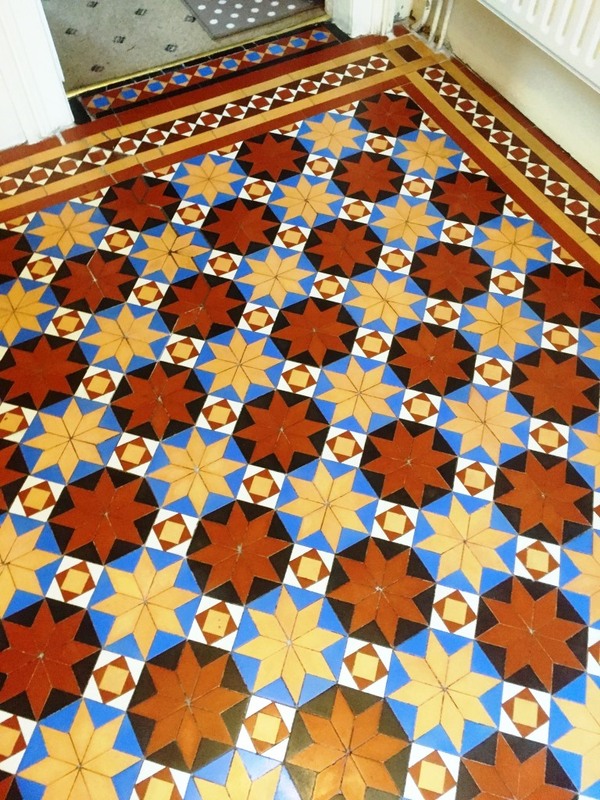 Victorian tiled floors are known for their interesting and unique mosaic patterns – and this one was no different. 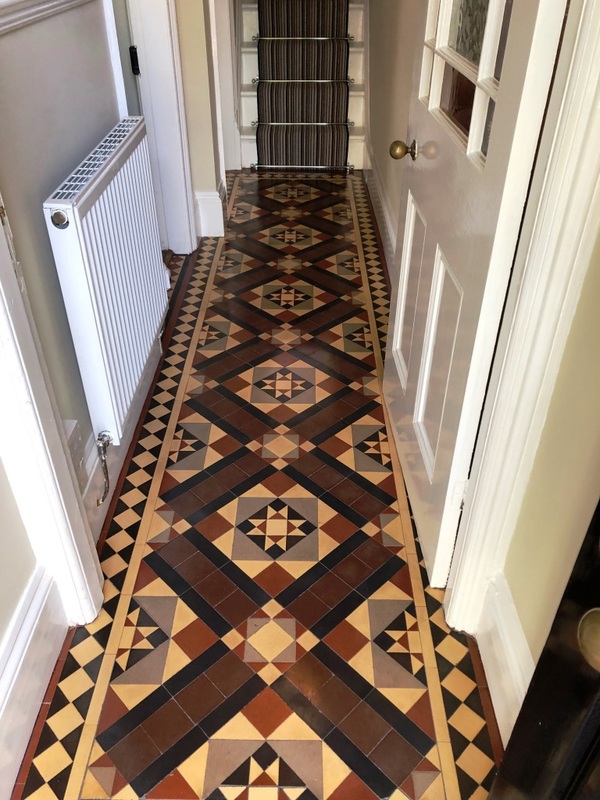 It was installed at a house in the historic West Midlands town of Stourbridge (famous for its glass industry). Unfortunately it was now looking worse for wear and was in dire need of not just cleaning and sealing, but also some minor repairs and the owner was keen to have it restored back to its former glory. 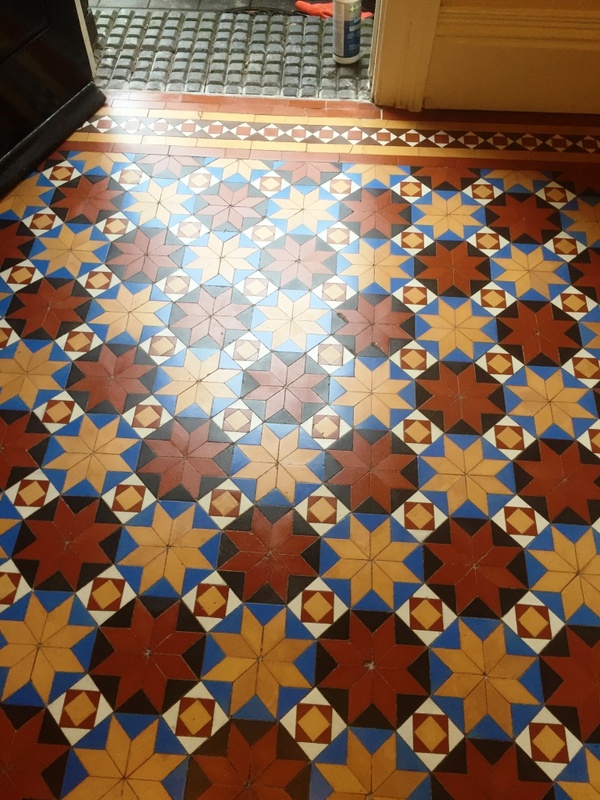 This particular Victorian tiled floor had been arranged in a fantastic pattern comprising tiles in shades of yellow, blue, red and white. 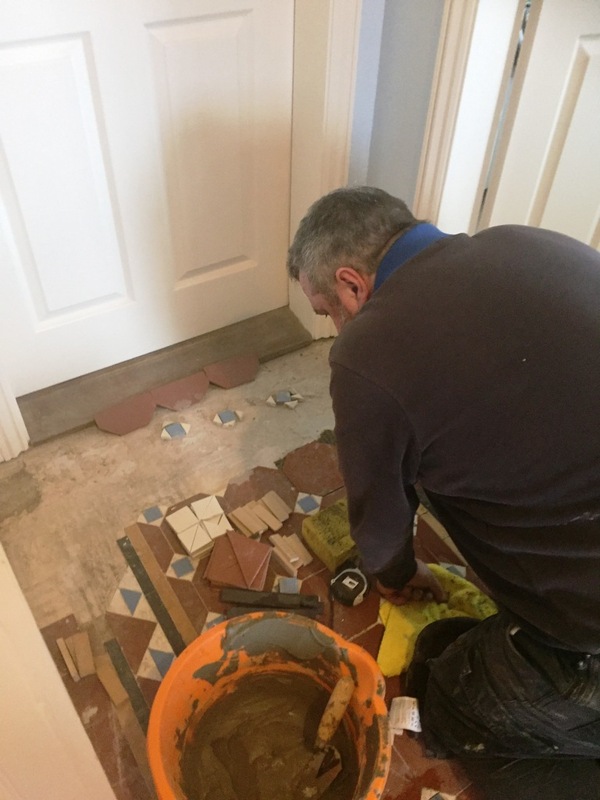 There were, however, some missing tiles but fortunately I know a number of specialist suppliers where I can source replacements. 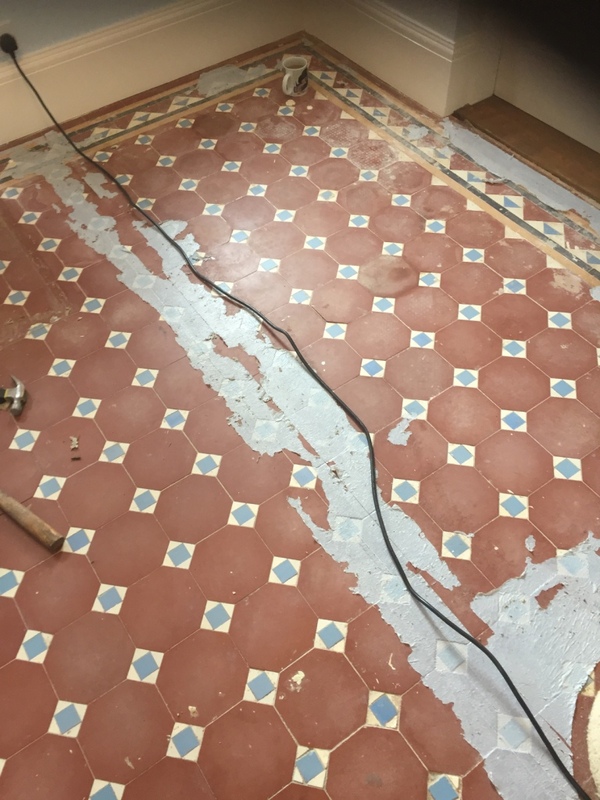 I spent the first day making minor repairs and replacing the missing tiles, including the grouting, and then left the treated areas to set overnight. 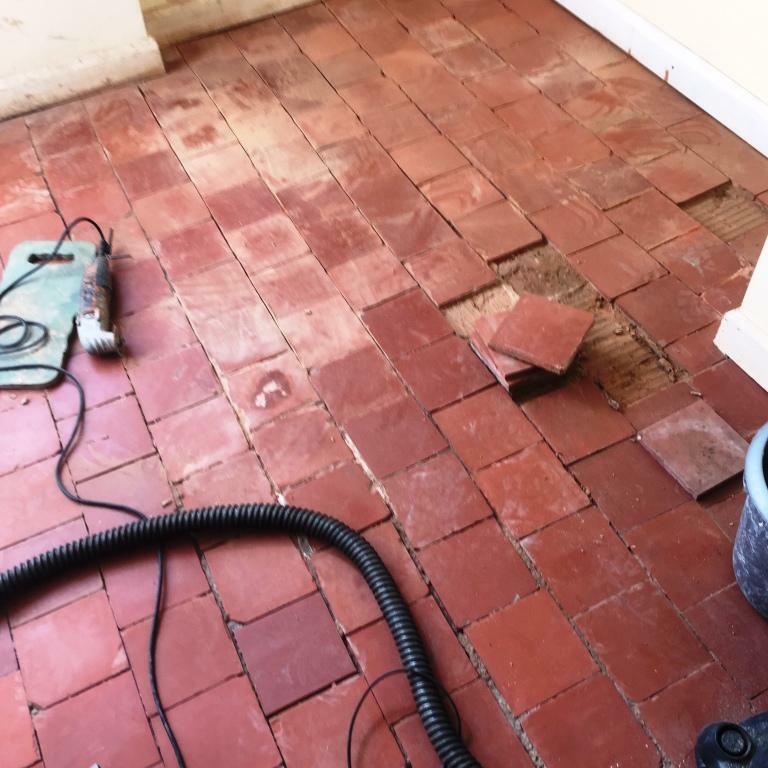 On the second day I returned to the house to complete the cleaning process starting with a combination of Tile Doctor Remove & Go – a powerful sealer stripper – and Tile Doctor NanoTech HBU cleaner to lift out ingrained dirt and break down old layers of sealer. NanoTech HBU is particularly effective as it utilises tiny nano sized particles to penetrate deep into the stone and lift out the dirt. 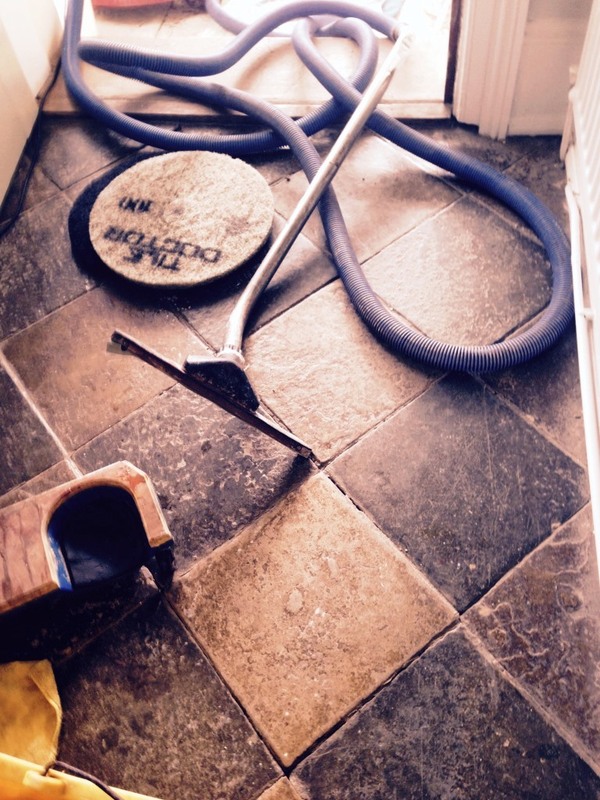 The resultant slurry was rinsed off the floor and removed using a wet vacuum. The next step was to give the floor an acid wash using Tile Doctor Acid Gel, this product can remove old grout haze and other mineral deposits, additionally being in a gel form makes it easy to control and although primarily designed for use on walls it works really well on floors as well. Following this I gave the floor a thorough rinse, dried as much as possible with a wet vacuum and left it to dry overnight, ready to be sealed the next day. 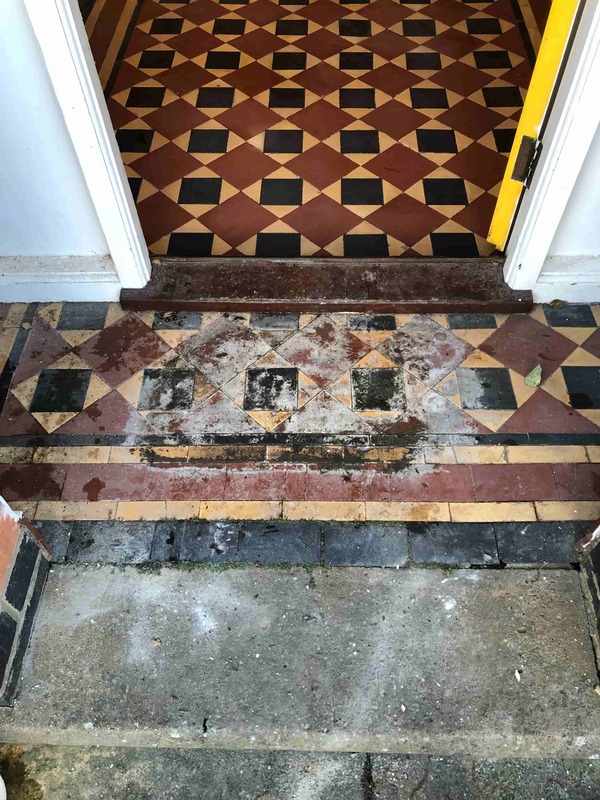 Upon my return to the house on the third day I set about sealing the floor, checking first that the area was completely dried by running damp tests with damp meter, all was well so I able to start applying the sealer. The sealer chosen for this floor was Tile Doctor Seal and Go which is a water based product which is a popular choice as it gives the floor a nice sheen and doesn’t leave the smell that the solvent based sealers do; three thin coats were applied to provide a robust surface seal and to achieve a semi-shine finish, as per the client’s requested. 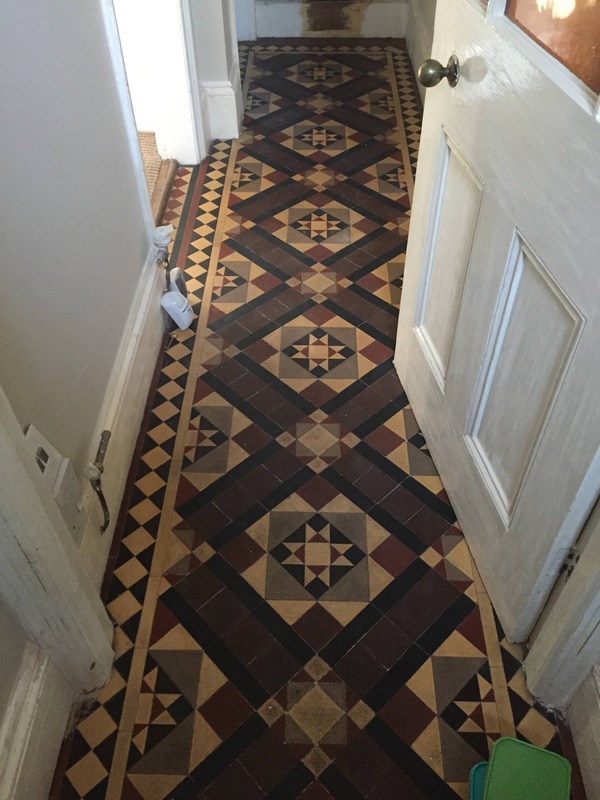 Here’s an interesting job I recently completed for a client in the historic city of Worcester. 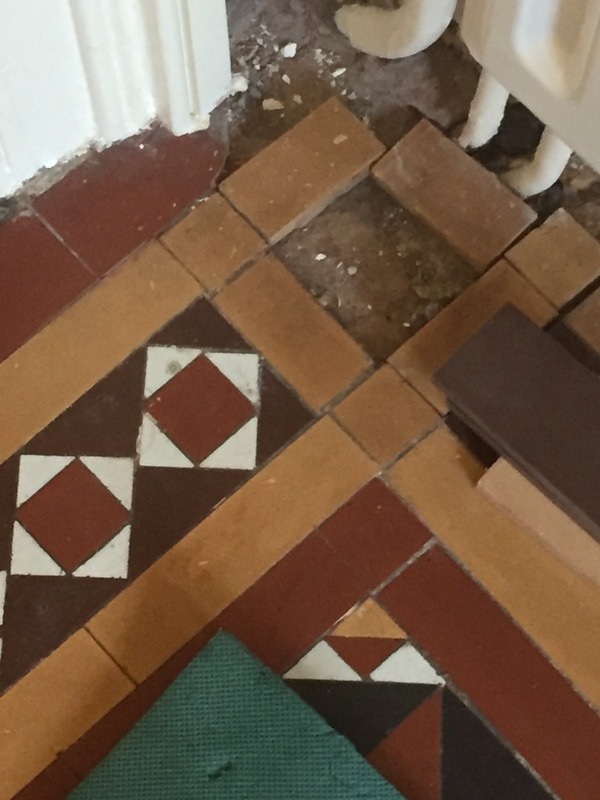 My client had two tiled floors in her house that were in dire need of restoration. 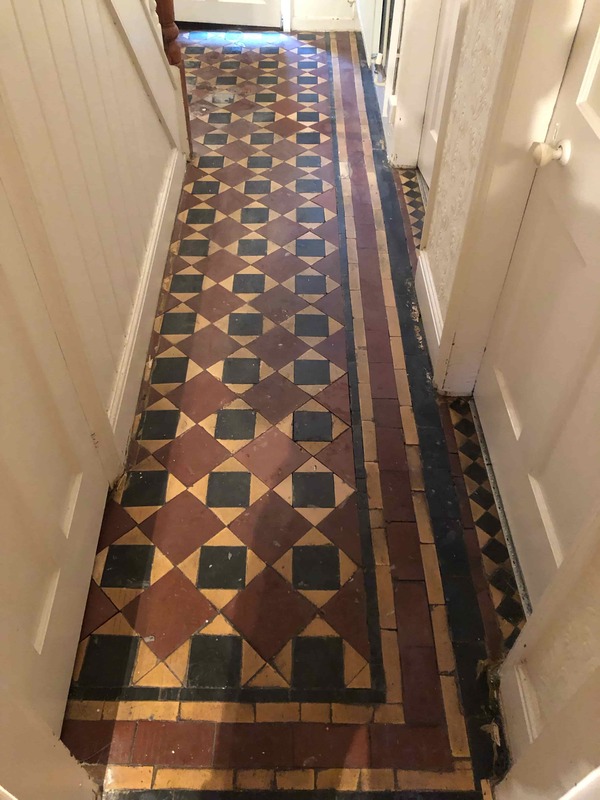 They were located in the hallway and dining room of the house, and were a mix of Quarry tiles, with some believed to be over a century old. 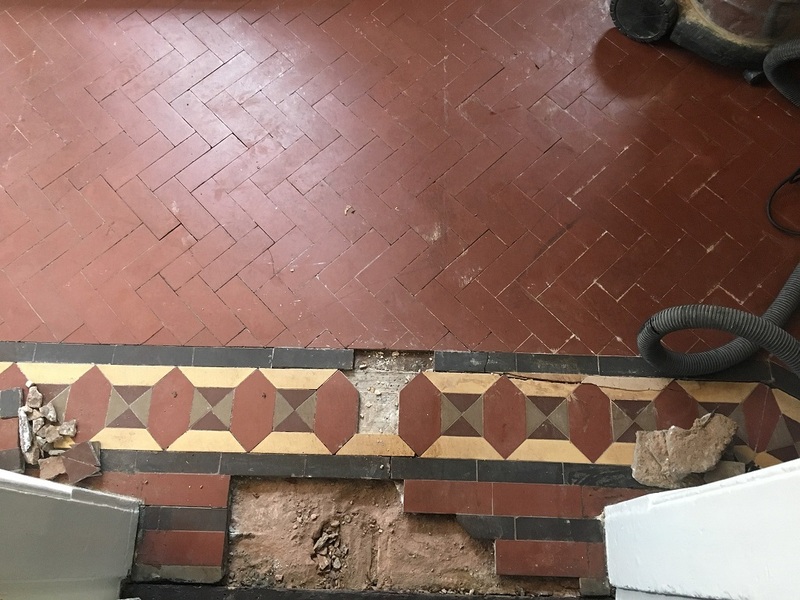 The entire area required a thorough clean and seal, while some of the tiles were showing evidence of salt damage in the grout lines, this is usually caused by damp evaporating up through the tile and grout and is more commonly known as efflorescence. I completed the cleaning and sealing processes over the course of two days. 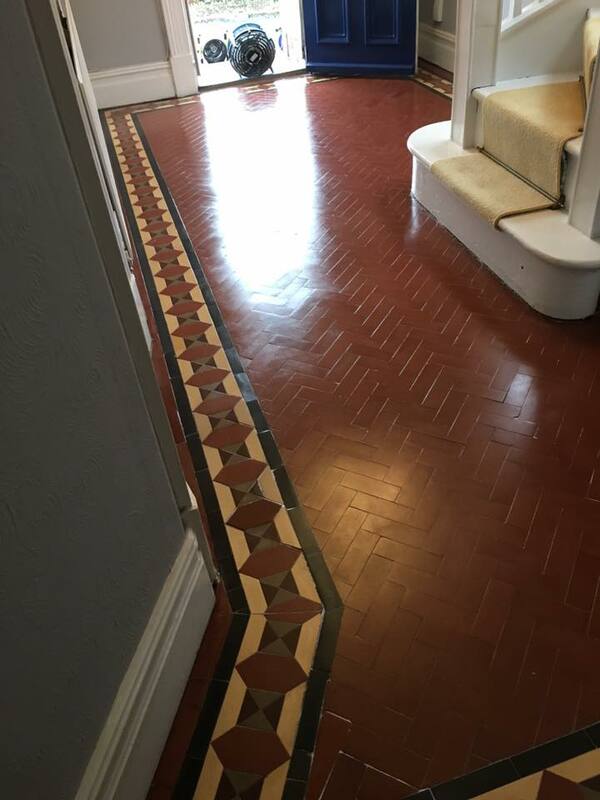 My first task was to break down any old sealer and hard wax coatings left on the surfaces of the floors from previous maintenance. Working in two metre square sections I scrubbed Tile Doctor Remove & Go into the floor, Remove and Go is a coatings remover (aka stripper) that is safe to use on Tile, Stone and Grout and is great for tackling old sealers and waxes, the product can also used to remove glue and other adhesives. This was then rinsed off and the resulting slurry extracted using a wet vacuum; the process was then repeated as necessary until all the sealers etc. had been removed. 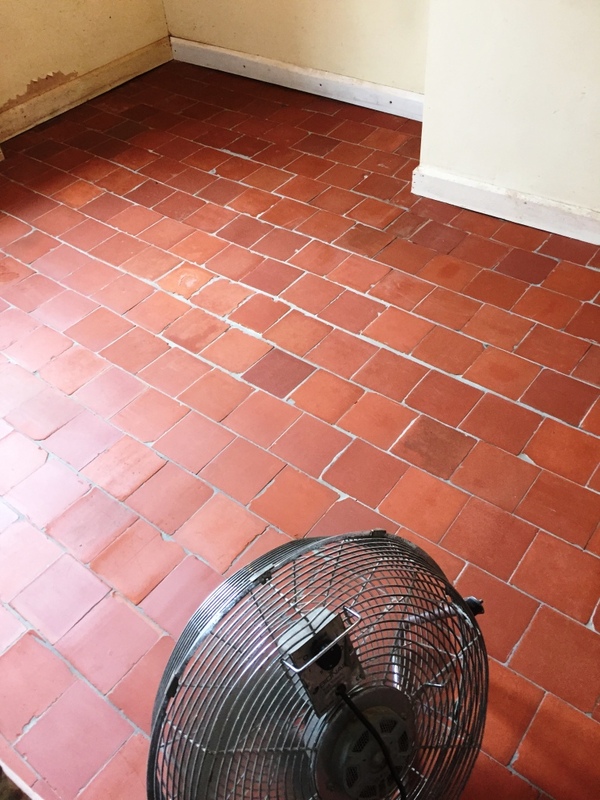 Following the removal of the old coatings I diluted Tile Doctor Pro-Clean with four parts water and I worked the solution into the floor using a black scrubbing pad to lift out any ingrained dirt from the tile. Pro-Clean is a high alkaline cleaner which is highly effective and again safe to use on Tile, Stone and Grout. To complete the cleaning process I addressed my attention to the salt that was evidence in the grout between some of the tiles. I used Tile Doctor Grout Clean-Up for this, which removes salt and other mineral deposits, along with any stains, dirt and grout haze. After completing the clean I gave the whole floor a thorough rinse which was then removed using a wet-vac machine, before leaving the whole area to dry overnight. 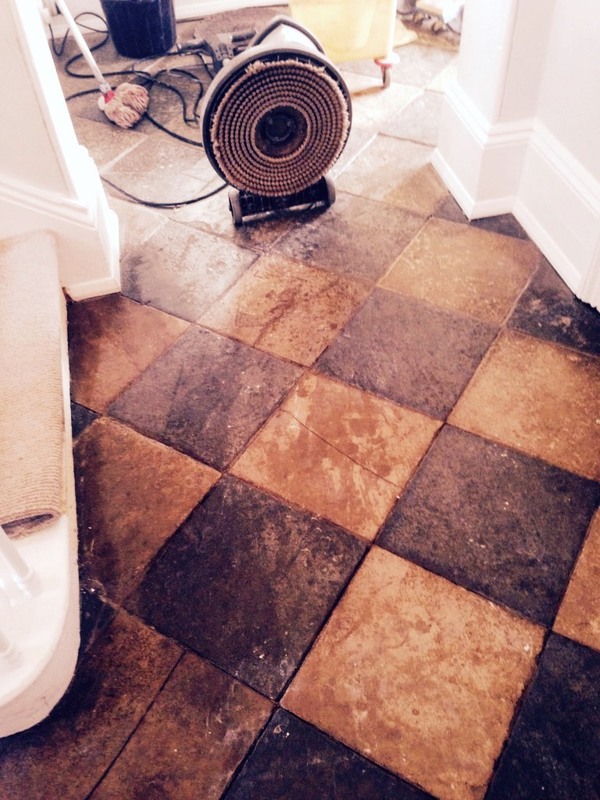 I installed two air movers and a dehumidifier to speed up the process, and by the time I returned to the house the next day, the tiles were ready to be sealed. 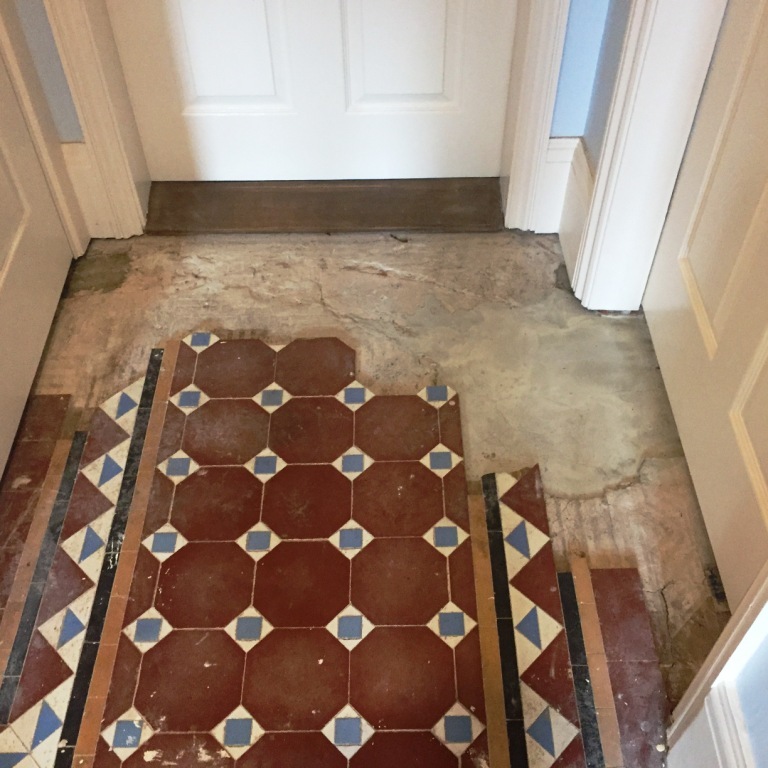 To seal the floor I used four coats of the new Tile Doctor Seal & Go Extra, which is especially recommended for sealing external tiles or internal tiles with a damp problem. The product formula has increased breathability as well as providing a robust surface seal along with an aesthetically pleasing, low-sheen finish. I recently had a chance to complete a job at a house down in the bustling city of Worcester, home to one of the UK’s fastest growing universities, the University of Worcester, along with the much-loved condiment, Worcestershire sauce. 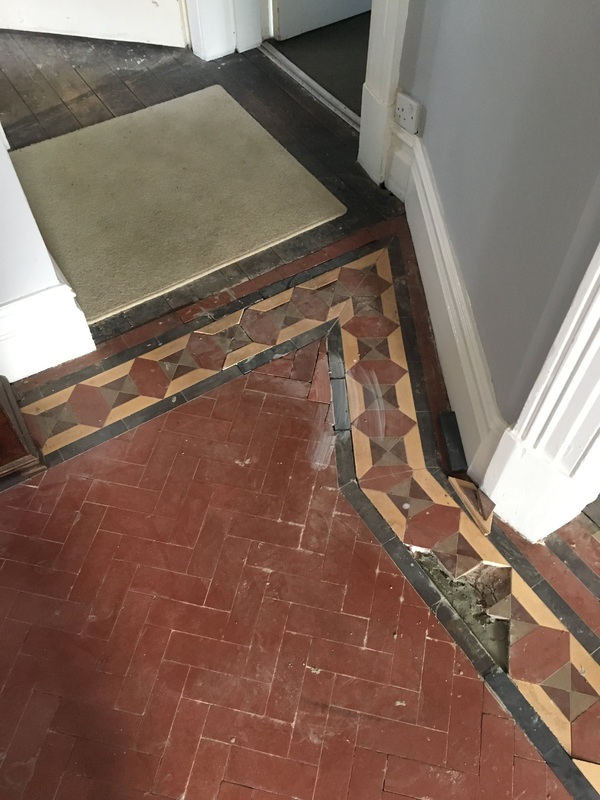 I was asked by my client to restore an interesting hallway floor that was made up of Limestone and Slate tiles laid in a diamond pattern. 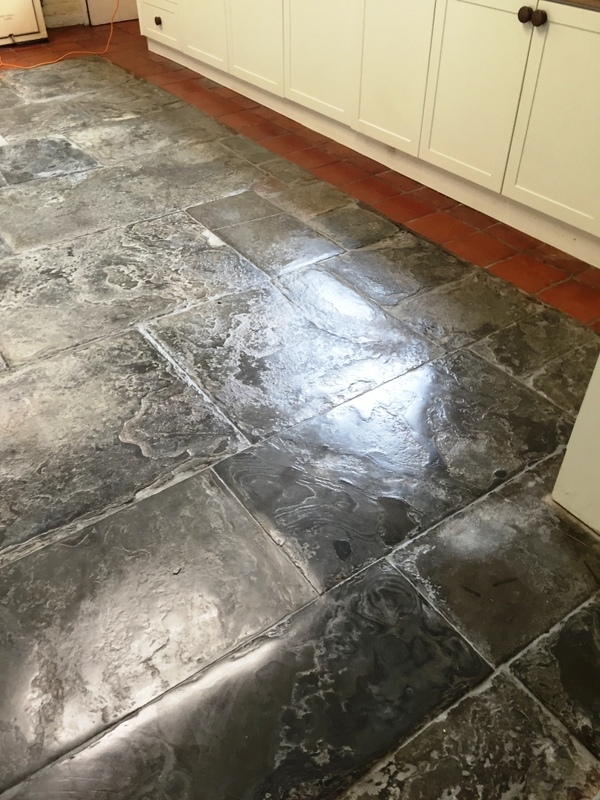 Both Limestone and Slate are reputed for their durability, and are popularly used for both interior and exterior flooring. 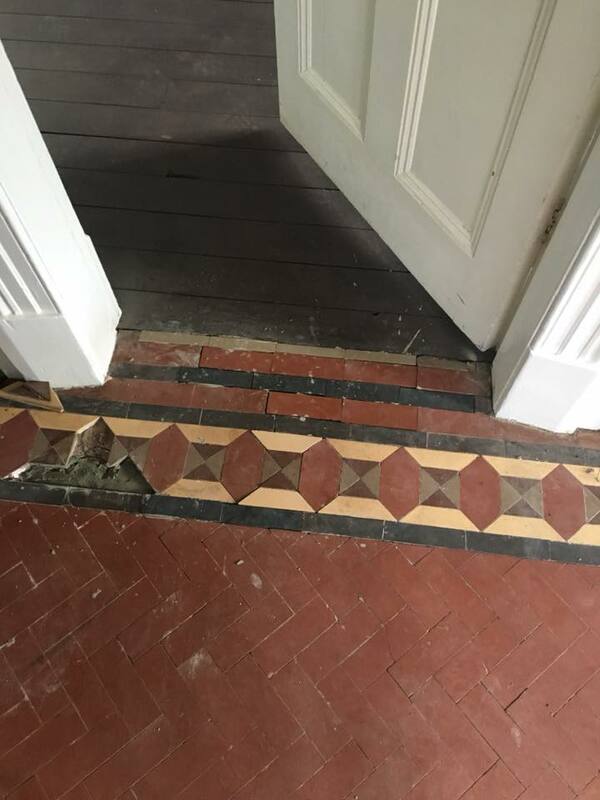 However, this particular floor, situated in a high-traffic area of the house, was covered with many layers of dirt built up over the course of several years, and was marked by a number of loose tiles. 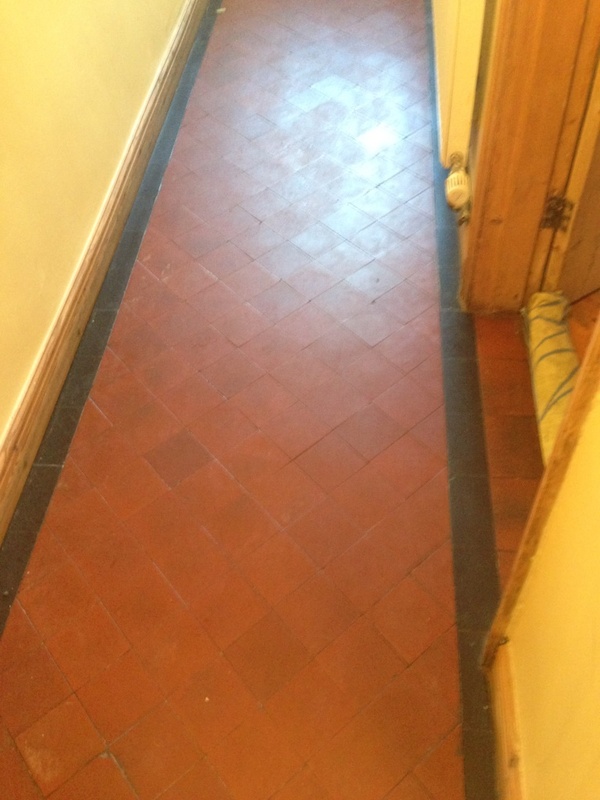 My first job in the process of restoring the hallway was to give it a deep clean. 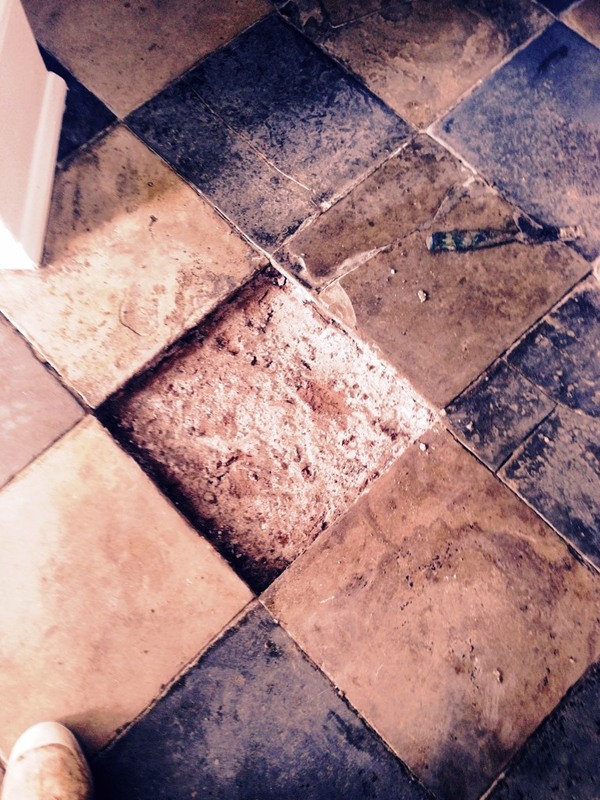 I mixed up a solution of Tile Doctor Pro Clean and clean water, before scrubbing it into the tiles. 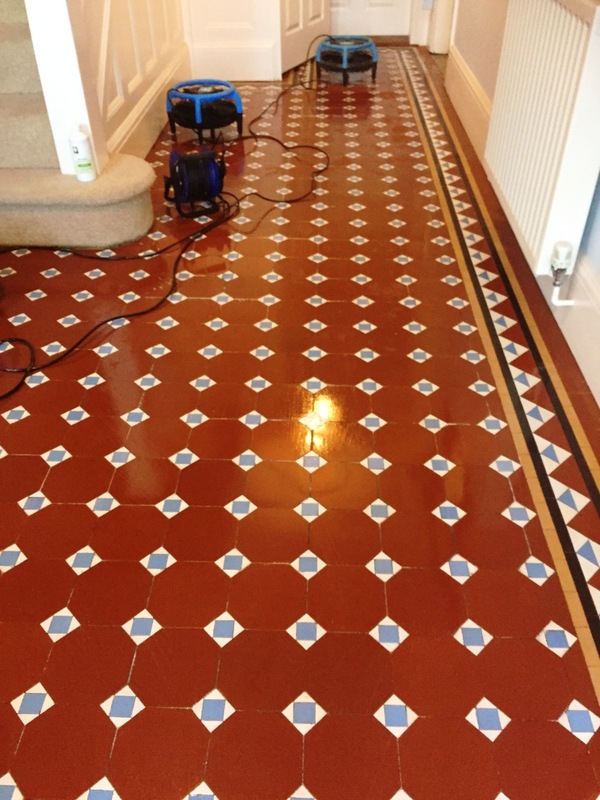 I use Pro-Clean to clean most natural stone floors as it works very well to lift out ingrained dirt and stains. 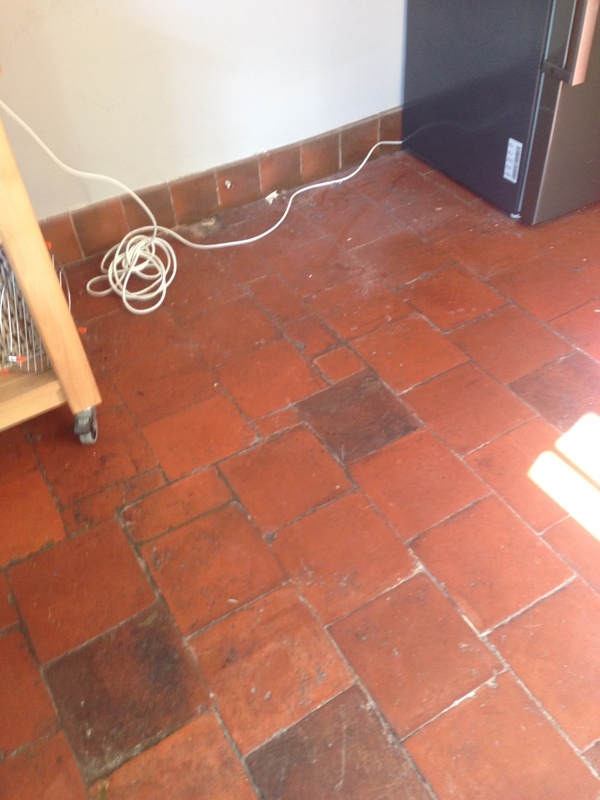 Nonetheless, as the floor had suffered from more than its fair share of dirt over the years, I opted to also use Tile Doctor Remove & Go stripper which, in addition to removing any old sealer from the surface of the tiles, contains cleaning properties to ensure any remaining muck is eradicated. 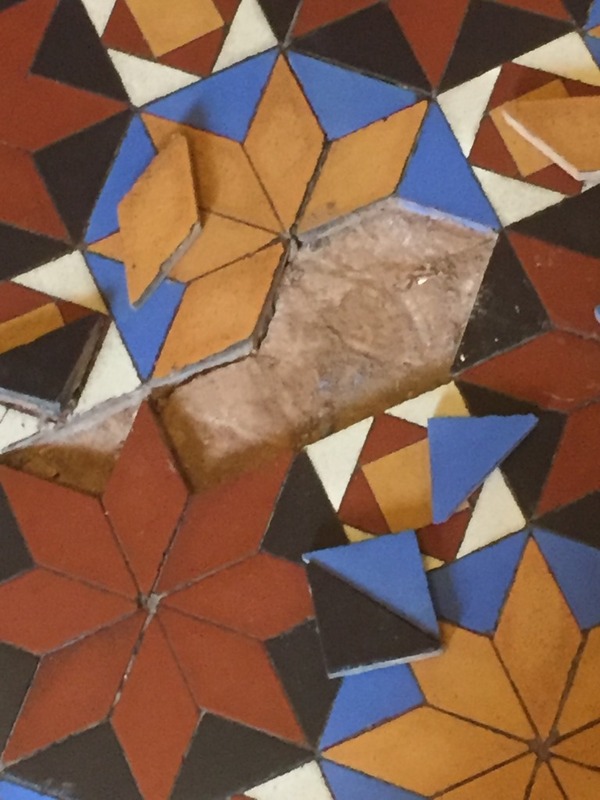 After completing the clean, I set about refitting the loose tiles, and in one particular area I had to remove and re-build the base back up. 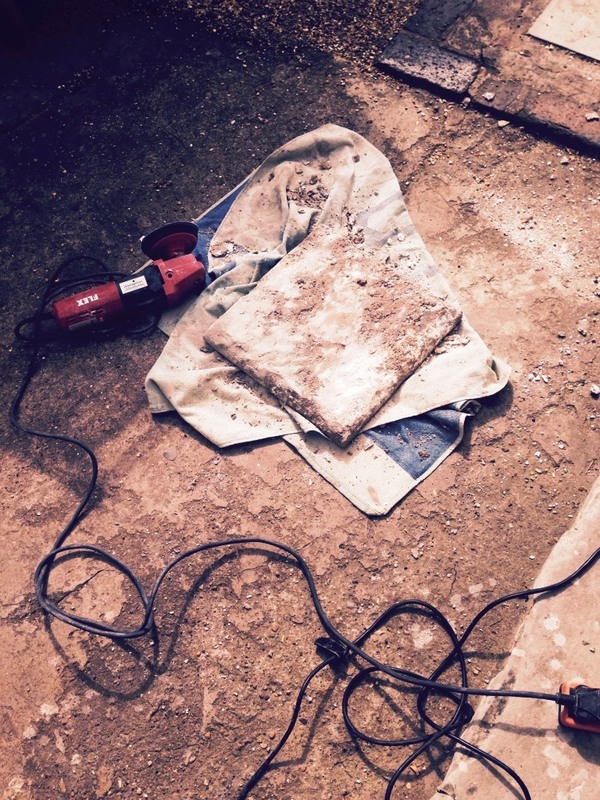 In order to effectively reuse the tiles, I had to grind off all the old adhesive. 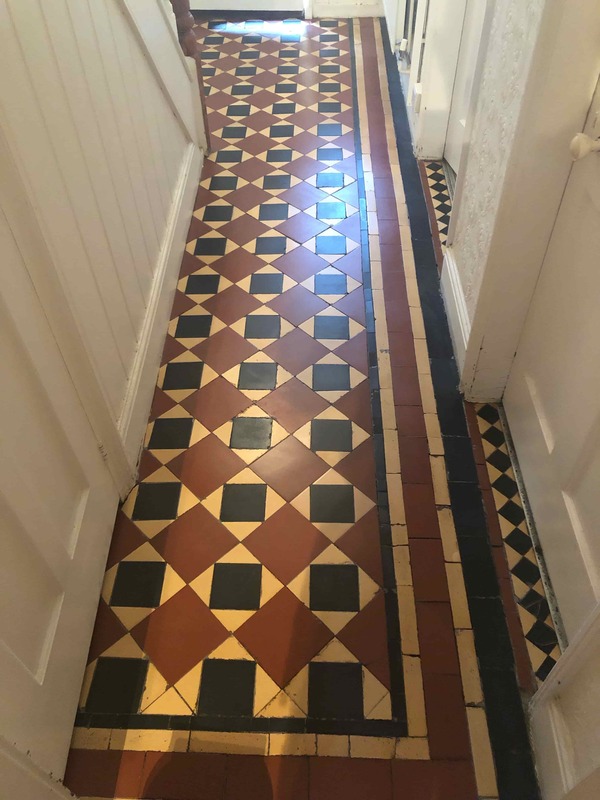 After leaving my work to set and dry for a period of a few days, I returned to put the finishing touches on the job with by sealing the hallway floor. 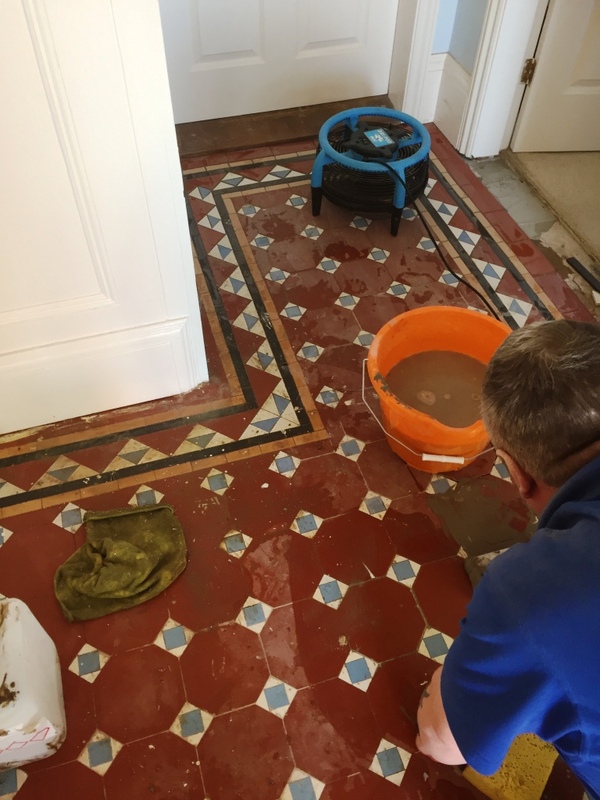 I made sure that the surface was completely dry before commencing the seal, as any excess moisture might have affected the performance of the sealer, Tile Doctor Seal & Go. 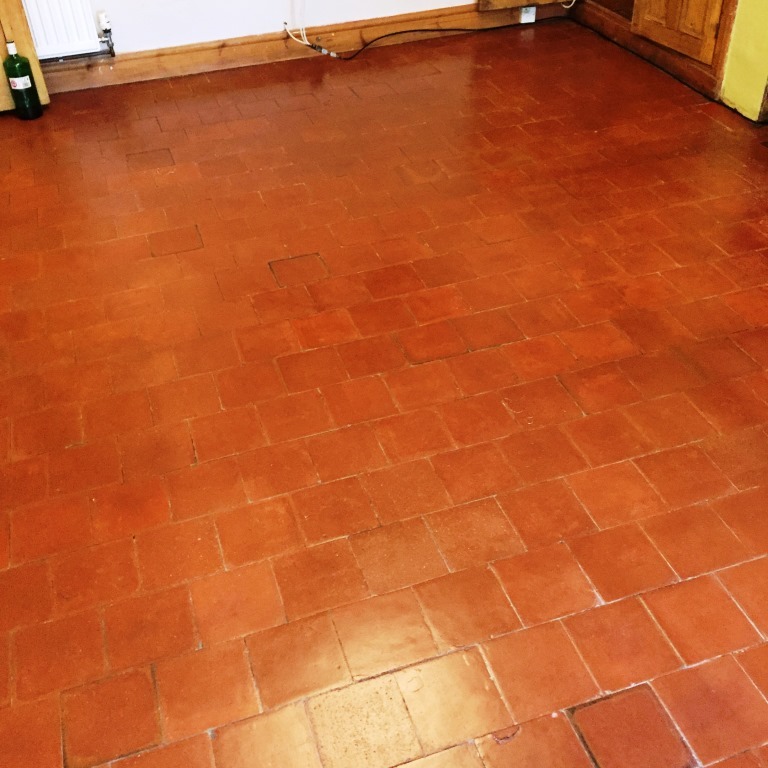 This product is used to provide internal, porous surfaces with a stain resistant surface seal and, as you can see from the photos, a nice low-sheen finish. 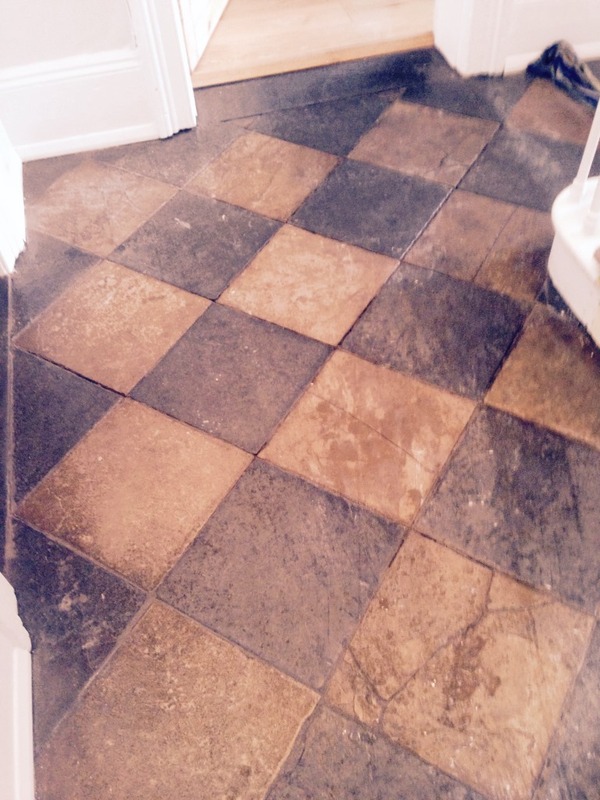 The low-sheen finish really helps to bring out the distinct colours in the Limestone and Slate tiles. 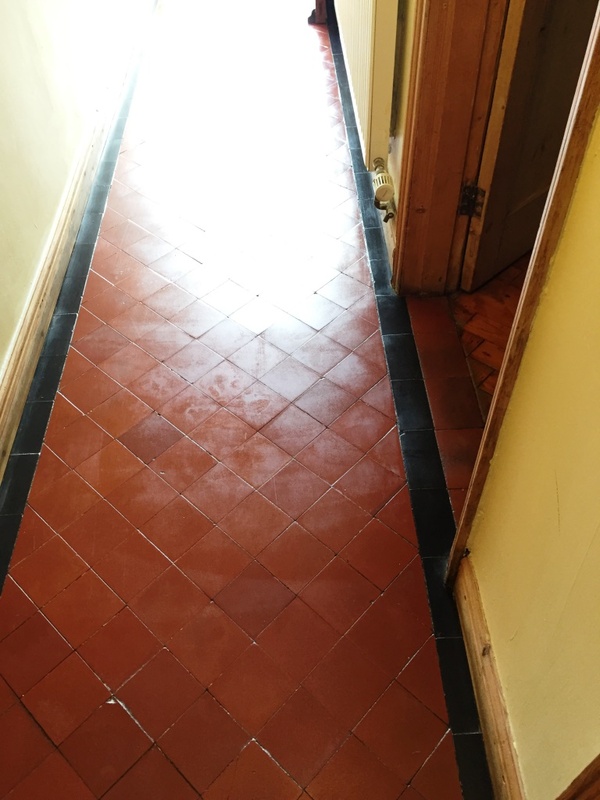 My client was amazed at how quickly I was able to rejuvenate the appearance of her hallway floor, especially considering the many years’ worth of dirt there was to tackle, as well as some tricky loose tiles.